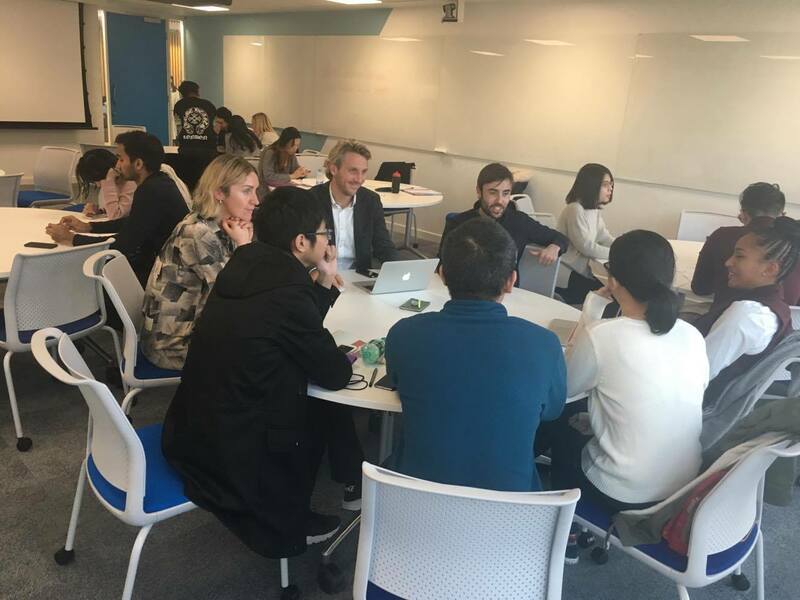 Felicity, studying Sports Digital and Media Technologies, a student ambassador for Loughborough University London and a Loughborough Alumni has shared her experiences of the Collaborative Project Partner visits that took place at the start of November. 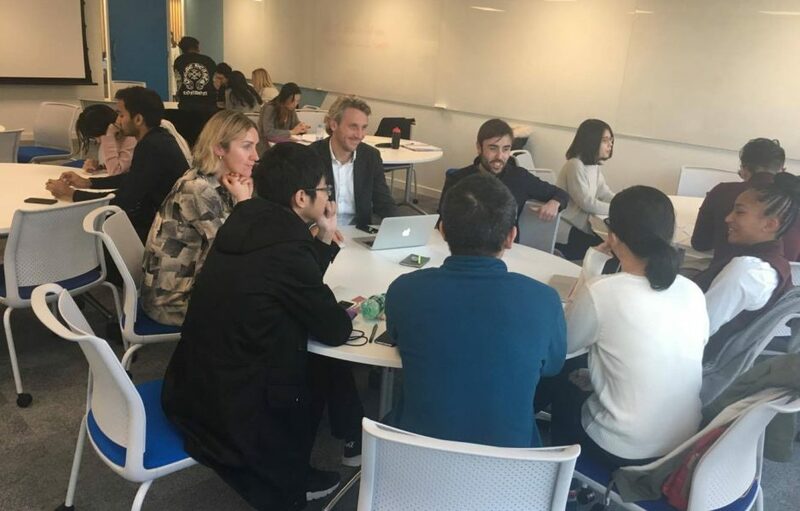 Flic’s organisation partner is Flamingo Group and they have visited Loughborough University London on multiple occasions. Flamingo Group are a Global Insight and Branding Consultancy. They have a strong relationship with many clients, including BBC, Unilever, Adidas, Google, Facebook, L’oreal, Airbnb, Pepsico, MTV and more. They work on global insight and branding to help their clients make connections and unlock potential. They work on a range of briefs for their clients and undergo brand and innovation challenges. Flamingo Group operates across the globe in 8 different locations. They are an extremely culturally diverse company which makes them so unique compared to other global insight and branding companies. Their offices are in Jakarta, London, Mumbai, New York, Sao Paulo Shanghai, Singapore and Tokyo. 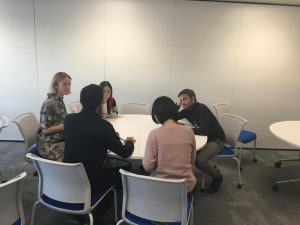 The two members of Flamingo Group who visited were Stuart Enticknap, Project Director of Innovation at the London Office, and Carol Boland, Mid-Weight Designer at the London Office. We introduced ourselves in our groups (we have six groups of roughly 3-5 members) and stated which brief we have chosen and why. The three briefs we could choose from were: Luxury, Consumer Goods and Health; three areas Flamingo Group excel in. Both visitors interacted with each group separately answering all of our specific questions and made us think further about the industry we have chosen for our studies. Our discussions with them was extremely helpful and insightful. Stuart presented an example of Flamingo Group’s work with their client Nestle. Flamingo Group prepared a brief on how Nestle can target more people to drink their coffee, discovered the problem and gave a solution; mirroring what we have to do in this project. Their visit gave us a clear outline of what is expected of us at the end of this module. Flamingo Group gave us questions to think about to enhance our learning, the quality of our overall solution, and to think clearly about the needs of our target demographic focus group. I believe this experience to be one of a kind and a great opportunity to work with such a successful company. Loughborough University London would like to thank Felicity for writing about her experience meeting Flamingo Group as part of her Collaborative Project module. Click on the link to find more information about the Flamingo Group. Click on the link to find out more information regarding Loughborough University London’s Collaborative Project.